There’s some news we’ve been wanting to share with you for a while… and now finally we can! 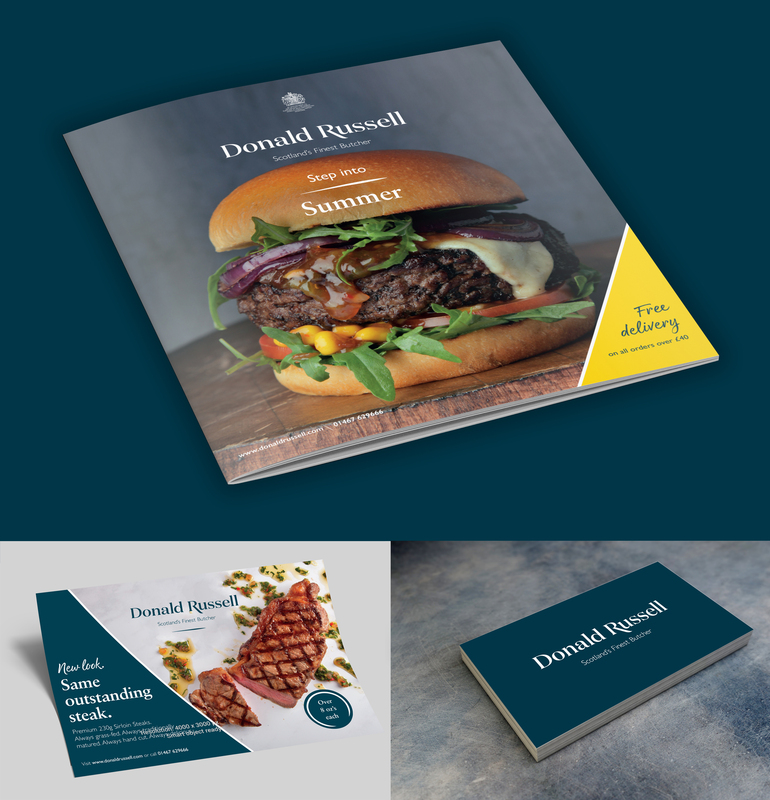 The Creative Storm team have been working very closely with butchers (and Royal Warrant holders) Donald Russell over the past eight months on a very exciting project. We met the Donald Russell directors at London agency Conran Design Group (part of the Havas group) back in October 2017. They had just finalised Donald Russell’s new Brand Principles, and it was then that we were first tasked to design, develop and integrate the new Donald Russell look and feel in practice. This affected every single facet of their business and visual communications. So, working closely together with the Donald Russell marketing team, we started the meticulous task of preparing all the new materials required – From business cards to steak knives and chopping boards, to a multitude of packaging items, signage inside and outside their facilities, and throughout their offline direct mail marketing materials such as catalogue and flyers – we helped ensure consistency, and adapted the brand and designs to be creative and unique and to work on all relevant media. Furthermore, as part of the Donald Russell rebrand, we were tasked to take their photography ‘to the next level’. 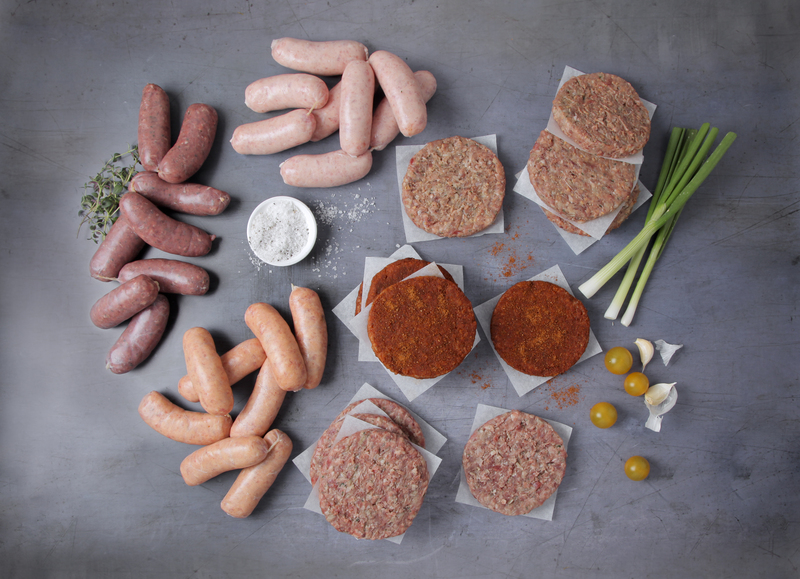 We hope you’ll agree the new imagery being showcased throughout their rebranded marketing materials is enticing and mouthwatering, seasonally coloured and styled, and imparts their core message of ‘quality master butchery’. We’re extremely honoured to have played such an integral role throughout this crucial and ambitious project (which is by no means over just now!) and we’re excited to share with you the NEW Donald Russell. We wish the Donald Russell team all the best as they continue to strengthen their business positioning as well as their commitment to be “Scotland’s Finest Butcher”. 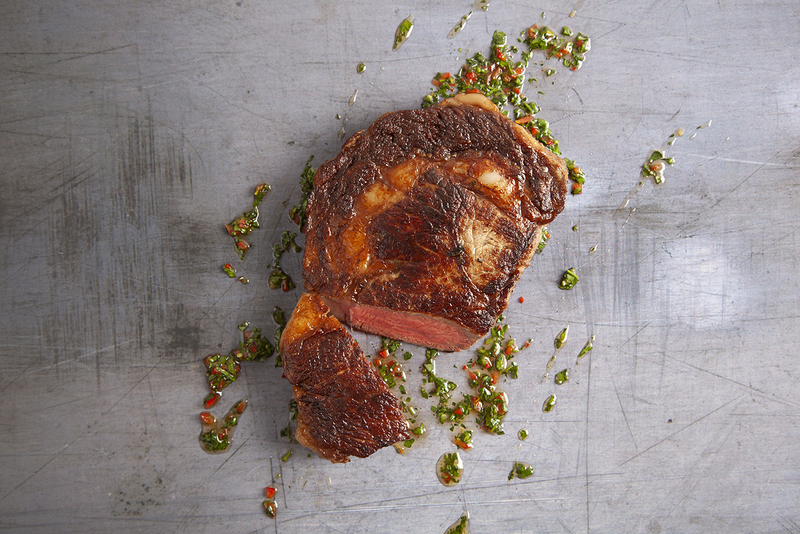 And we look forward to enjoying more of their delicious steaks! PS. 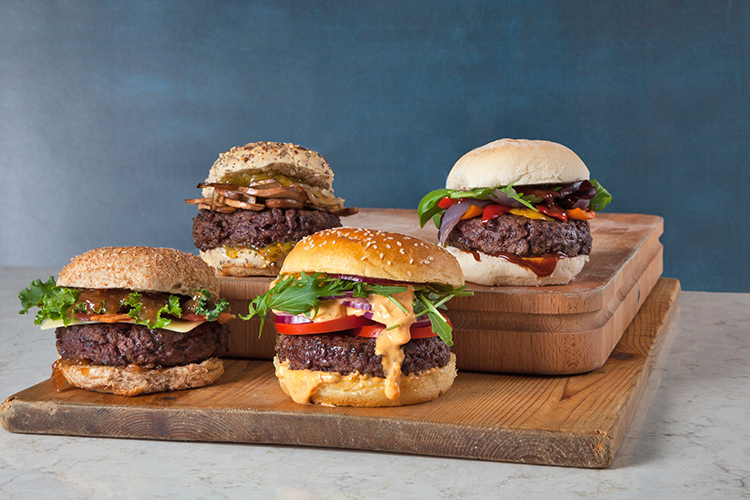 The NEW summer catalogue is out now!